Malia Tate: You know, Stiles wouldn’t be okay with this. If he knew all the things that we were trying to do without him, he’d, he’d kill us. Scott McCall: I think he’d be okay. 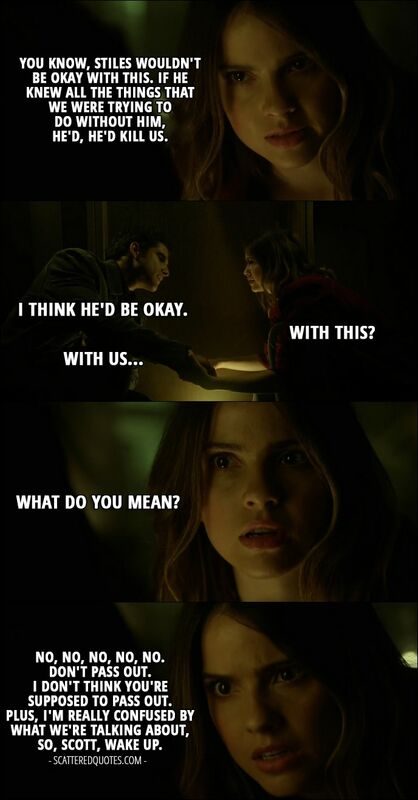 Malia Tate: What do you mean? No, no, no, no, no. Don’t pass out. I don’t think you’re supposed to pass out. Plus, I’m really confused by what we’re talking about, so, Scott, wake up.